When construction staffing industry titan Tradesmen International lost its appeal in the Seventh Circuit, it suffered more than just a defeat in a particular lawsuit that (in my opinion) it had no expectation of winning. In the course of its analysis, the Court of Appeals made it perfectly clear that Tradesmen's non-compete was unenforceable under Ohio law. As Judge Tinder noted in his opinion, the non-compete had a nationwide reach and extended to all Tradesmen customers and prospects throughout the country even though the individual defendants worked solely in Indiana. Consequently, the agreement went far beyond what was necessary to protect Tradesmen's business interests. To me, one of the more interesting aspects of the Seventh Circuit's ruling was Judge David Hamilton's concurring opinion and his discussion of the blue-pencil rule, which generally deals with a court's willingness to strike overbroad portions of a non-compete. That Judge Hamilton wrote separately in this case is not surprising. During oral argument, it was clear to me he was troubled by the scope of Tradesmen's agreement and what precisely it was trying to protect. Though he is the newest member of the Seventh Circuit, Judge Hamilton quickly has become known as an active questioner during argument. And this case provided him the opportunity to live up to that reputation. Judge Hamilton has made it known in interviews that he has a great interest in the law of non-compete agreements and trade secrets. Although he agreed with the majority opinion, Judge Hamilton wrote about the intersection of choice-of-law clauses and the blue-pencil rule. In Tradesmen, the individual non-compete agreements all contained Ohio choice-of-law provisions. The choice isn't unreasonable, since Tradesmen is an Ohio-based company with a nationwide footprint. Businesses certainly have an interest in seeing that its contracts are interpreted under a uniform set of rules. But the case potentially posed a significant choice-of-law issue because the individual defendants were Indiana citizens, and the litigation took place in Illinois. Judge Hamilton, though, is troubled (and has been in the past) by courts' willingness to enforce choice-of-law clauses when another state has a greater interest in the case and the chosen state's law embraces an employer-friendly blue-pencil rule. As he wrote, even though most states assess non-competes under a general rule of reason framework, "even a gentle tap on that fragile surface of similarity shows important differences from state to state." According to Judge Hamilton, courts should "not discount too quickly the force of ... public policy" that certain states have adopted when refusing to enforce overbroad non-compete agreements. In his mind, a state's unwillingness to rewrite or pare back non-compete agreements can be a strong enough public policy to invalidate a choice-of-law clause. 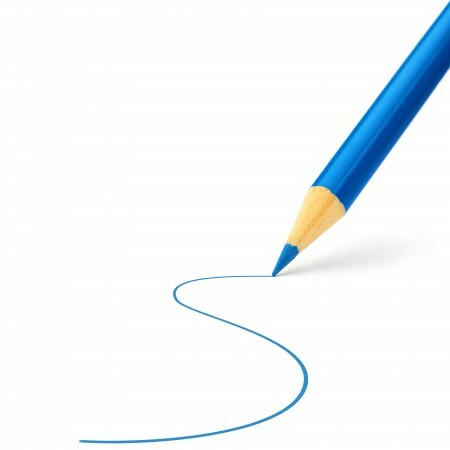 As an example, Indiana courts - like many others - subscribes to a strict blue-pencil rule. This means a court will not rewrite an overbroad contract, but will sever offending clauses from the rest of the agreement. States like Ohio, and to a lesser degree Illinois, have different policies (nuanced though they may be) that allow for courts to modify agreements or enforce them to the extent they are reasonable. Is this a strong enough difference in public policy to invalidate a choice-of-law clause? Judge Hamilton thinks it might be for a very pragmatic reason: an employer like Tradesmen can draft an obviously unenforceable contract and throw it to the courts to enforce a reasonable contract the parties could have signed instead. A state's unwillingness to adopt a liberal rule allowing for partial enforcement may signal a broader public policy that the state "protect[s] employees from overly broad coveants." The employer-friendly rule impacts employees who may not have the ability to obtain firm guidance on what type of competitive activity is prohibited legally, even with the sound advice of counsel. Judge Hamilton addressed this same public policy issue in a lengthy opinion when he sat as a district court judge in the Southern District of Indiana. The case was Dearborn v. Everett J. Prescott, Inc., 486 F. Supp. 2d 802 (S.D. Ind. 2007), and the case had strong similarities to some of the issues in the Tradesmen suit concerning choice-of-law. Though his opinion in Dearborn was thoughtful and extremely thorough, I didn't entirely agree with everything Judge Hamilton wrote in that case. Still, his reasoning has great appeal, for it recognizes the critical role the blue-pencil rule plays in non-compete suits. Judge Hamilton's concurrence in Tradesmen rings many of the same alarm bells he struck in Dearborn concerning choice-of-law. (1) Has the legislature enacted a clear statement of public policy? This is the easy analysis, because legislatures typically bear the laboring oar of setting forth public policy choices. As a result, states that have strong legislative enactments on non-competes - California, North Dakota, and Oklahoma on the employee side; Florida on the employer side - present obvious examples of when parties will have to confront critical choice-of-law issues. (2) Have courts expressed a consistent, widely applied rule that clearly expresses a public policy choice? This becomes more nuanced because non-compete cases are so fact-specific. But, taking the blue-pencil rule as an example, if a state's case law shows a uniform pattern where courts are unwilling to rewrite or modify overbroad covenants, this may rise to the level of a public policy sufficient to invalidate a choice-of-law clause. Illinois, for instance, has suggested in recent years that despite its black-letter principle of allowing modification of overbroad non-competes, public policy considerations may not allow a court to do the work an employer should have done when drafting contracts. (3) Could the difference in state law change the outcome? This approach would take a broader view of public policy, and to me it's not the proper analysis. For instance, in some (but not all) states, "continued employment" is sufficient consideration to enforce a non-compete signed after the start of employment. Certain states seem to have broader pronouncements that a non-compete cannot extend to "prospective" customers. To be sure, these are significant differences depending on the facts of the case, and they well may be dispositive in litigation. But they are really at the edges of a state's public policy as to enforcement. Courts long have recognized that mere differences in a state's law don't rise to the level of a strong public policy. Judge Hamilton seems to subscribe to the second approach, and he views a state's willingness to rewrite non-competes as a strong enough choice to implicate public policy concerns. Ultimately, this may signal the Seventh Circuit's willingness to examine choice-of-law issues more carefully and retreate from prior decisions where the court seemingly has deferred to a choice-of-law clause as long as it has some connection to the dispute. In Tradesmen, I didn't make an issue out of choice-of-law for the simple reason that Tradesmen never could point to any evidence my clients breached any agreement. The issue was, to be frank, moot and not worth spending a nickel of legal fees over. Had my clients decided to challenge the enforceability of the contracts, then certainly choice-of-law would have been a more significant legal issue to consider.